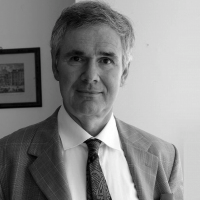 Prof. Zeno-Zencovich is chairman of the Italian Association of Comparative Law. He is editor or member of the editorial board of several important Italian law reviews and author, co-author or editor of over two dozen books. Legal advisor to the Italian Government in the last 13 years in all the telecoms tenders and auctions. As a practising lawyer he has successfully litigated in landmark cases in damages for defamation, consumer protection, tobacco litigation and liability of providers.